The Capability Driven Design (CDD) approach is created to guide product design teams to efficiently and comprehensively explore the user context in what is called ‘Design for Development’ projects. By using the approach, the design team is supported to develop more appropriate products and services and to make deliberate design decisions throughout the process. Moreover, the obtained insights provide a source of inspiration. The Capability Driven Design Approach provides conversation topics and questions to help in comprehensively getting to know potential users and their context in a limited amount of time. It includes a step-by-step approach, several methods, techniques and tools in order to rigorously obtain comprehensive insight. Prerequisites and guidelines for conducting fieldwork are also provided. 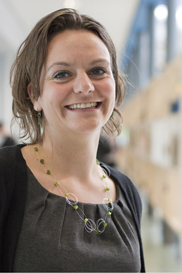 why use capability driven design? It is important to understand potential users and their context to be able to create products and services that will be accepted and adopted, and which support the potential users in the things they want to be and do. Although significant efforts have been made, there are many examples of products specifically designed for development that failed in their purpose (see the figures below), such as mosquito nets being used as fishing nets (Duflo 2010) or as goal post nets, toilets which are being used as a kitchen or to store cow-dung cakes or agricultural products (Gupta 2011), and playpumps which have been abandoned, due to its complex design requiring expensive and / or unavailable parts, its dependency on children’s’ play, and safety issues (Nhlema 2015; Borland 2011; Unicef 2007).  Therefore, CDD offers an efficient, rigorous approach in order to help designers to obtain comprehensive user insights. These insights can be used to inspire designers to develop products and services, together with end-users, that anticipate most unintended consequences, truly contribute to people’s valued beings and doings, and improve their well-being. Capability Driven Design is a designer-friendly approach to efficiently guide product designers to comprehensively explore the lives of potential users in Design for Development projects. The approach consists of four steps, which are visualised in the figure below. 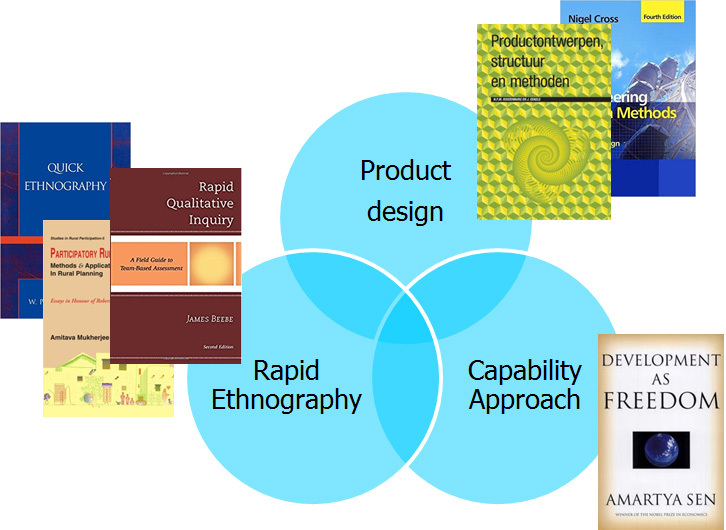 To develop this systemic approach analytic guidance is derived from Sen’s ‘Capability Approach’ (CA), and practical guidance is derived from the domains of product design (more specifically user-centred design), and rapid ethnography. The CDD approach consists of two parts. The first part is its contents (theoretical) consisting of a thinking framework, prerequisites, guidelines a set of conversation topics (themes) and questions. The second part is a procedure (practical) consisting of a four-step procedure, tips and tricks. Both parts of the approach are presented in the manual. The full approach is presented in the figure below. The CDD approach procedure consists of four steps which guide the design team to conduct rigorous, comprehensive and efficient user-context research. This framework guides the designer to think comprehensively about the lives of potential users.  The prerequisites are guidelines that should be met in order to collect comprehensive user insight in a rigorous, rapid and ethical manner. The CDD guidelines aid designers to collect comprehensive user insight in a rigorous, rapid and ethical manner. The CDD themes bring in discussion topics which designers can use to bring out valued beings and doings of their potential users. The themes are clustered in six categories: ‘Person’, ‘Health’, ‘Relationships’, ‘Activities’, ‘Living’ and ‘Possessions’, and each category comprises four sub-themes and several discussion topics. For each theme questions have been developed to guide the conversation. These questions are placed on cards which hold a pictogram on one side and the theme name with questions on the other side. The CDD Content is derived from literature and adjusted during the development and evaluation of the approach. The background of the CDD’s content is explained in this document. These files are meant to be used before, during and after while employing Capability Driven Design approach in your field visit. You can download it and/or print them as per your convenience. When using ODK, the content of the CDD approach should be kept in mind: the thinking framework should be understood, and the prerequisites and guidelines followed. The themes & questions are part of the ODK itself: for each theme a question card is developed which holds a pictogram on one side and the theme with questions on the other side. The presented steps need to be executed in order to conduct semi-structured interviews. The presented guidelines provide support to designers for conducting ODK interviews. The presented techniques guide designer to start a dialogue. A set of twenty-one question cards and an introduction card. Each card contains a pictogram that symbolizes the theme. On the other side, the related questions are printed. The question cards guide the facilitator throughout the ODK interview, but they can also be used to show the progress of the interview and the topic that is being discussed to the participants and the translator. It is recommended – if time allows – that local visualizations be made for the question cards, so that participants can better relate to them. The design team is also recommended to cluster the selected question cards in sets of four, to keep a better overview. 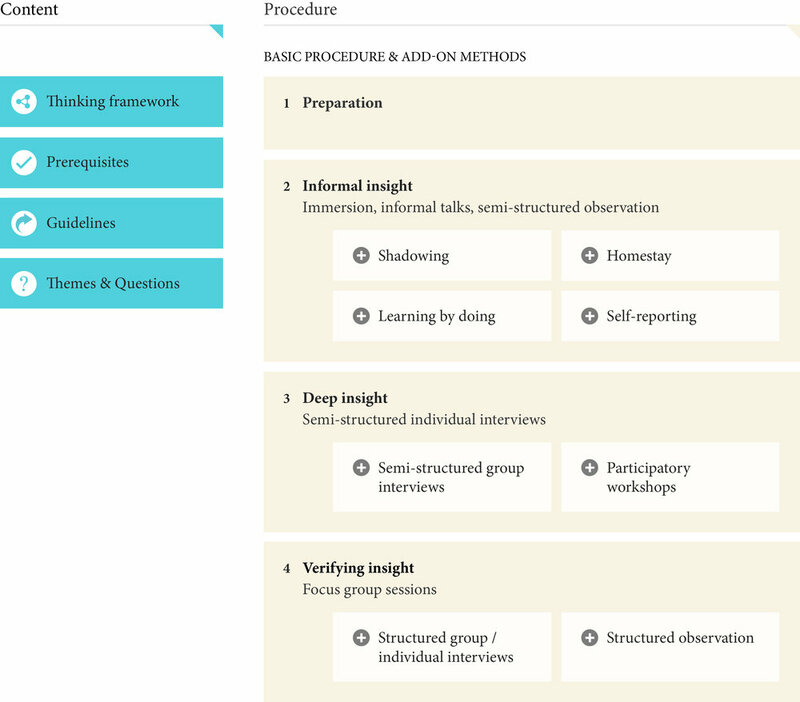 The ODK toolkit holds three timelines on which the participant or a team member can draw while questioning the participant. They should be used as conversation starters, to identify starting points for dialogue. The three timelines are: a timeline with suns and moons to draw a typical day of the participant, a timeline of the year which can be used additionally to learn more about participants’ activities throughout the year, and a timeline of personal history which can be used to learn more about participants’ personal history by going back to past experiences. These timelines can be downloaded by clicking the link. The ODK toolkit holds two drawing sheets; one to enable mapping of participants’ housing, surroundings and movement patterns, and one to map participants’ appearance and social life. These drawing sheets can be downloaded by clicking the link. The ODK toolkit holds a sorting sheet. The sorting exercise is to understand how people value the different themes. Participants should indicate which sub-themes they value most in their lives. The sub-theme pictograms are available in a smaller size and can be placed on the sorting sheet. The exclamation marks indicate importance. The participants have to sort the sorting cards in six categories from very important (six exclamation marks) to not important (represented by one exclamation mark) (see figure 40). To avoid confusion, this can be done best by providing the sorting cards one by one and let people sort them one by one. Productontwerp voor ontwikkelingslanden: hoe werkt het wel? We are always excited to hear about the successes and failures of this Capability Driven Design approach. This helps us to improve the tool further and also reach out to more designers. Thank you you for your mail! The CDD approach and ODK toolkit will be regularly improved and updated based on the user feedback and experiences. In order to prevent misuse, proliferation, and alienation of the CDD approach, a board will be established consisting of people with different expertise: design, ethnography, philosophy. This board will judge the suggestions for improvements of the approach and its techniques and tools. For the regional insights, a local person from the specific region will be temporarily added to the board. Only if the board approves the suggested changes and the insights, they will be put on the online platform.